The Foreign and Expatriates Ministry Conference, chaired by Foreign and Expatriates Minister Walid al-Moallem, held on Wednesday its closing session. The session started by observing a moment of silence in honor of Syria’s martyrs. 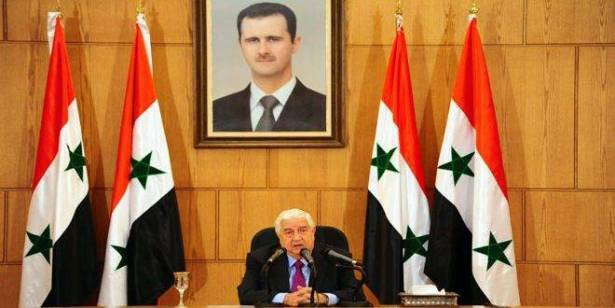 Speaking on behalf of the Conference’s members, al-Moallem thanked President Bashar al- Assad for the speech he delivered at the beginning of the conference, considering the President’s speech as a guide for the work of the Syrian diplomatic track in the upcoming stage. He saluted the Syrian Armed Forces personnel, lauding their sacrifices in defending the homeland in the face of the Takfiri terrorist groups and in restoring security and stability to it. Minister al-Moallem reviewed the most important issues and topics that would enhance the level of the performance of the Syrian diplomatic corps in facing the conspiracy and the unfair aggression on Syria, in addition to unveiling the reality of what is going on the political and media arenas. The Minister called for practicing an active economic diplomacy for preparing the right groundwork for the reconstruction phase in service of national interests. the Syrian communities abroad, and urging them to contribute actively to the reconstruction process.